The leaks in swimming pools are a headache to its owners and its maintenance are time consuming and expensive. Water proofing is an inevitable task that has to be done during swimming pool construction. It is used to prevent the leakage of water in swimming pools. Waterproofing helps to reduce the humidity in swimming pools. Eternity Pools and Gardens offer the best waterproofing solution for swimming pools in Kerala. We are the leading distributors of a range Waterproofing Materials, Adhesives and other swimming pool materials. All our products are procured from renowned manufacturers of the market such as Terraco and BASF. Terraco offers an extensive range of versatile and specialized waterproofing products, roof waterproofing products, water repellents, and additives to waterproof mortars and other cementitious materials. Terraco products are eco friendly. So its use does not harm the environment. A versatile, permanent, positive pressure, waterproofing system for roofs, facades, water tanks, foundations and more. The system will adhere to new and old surfaces of concrete, bitumen, and tiles. 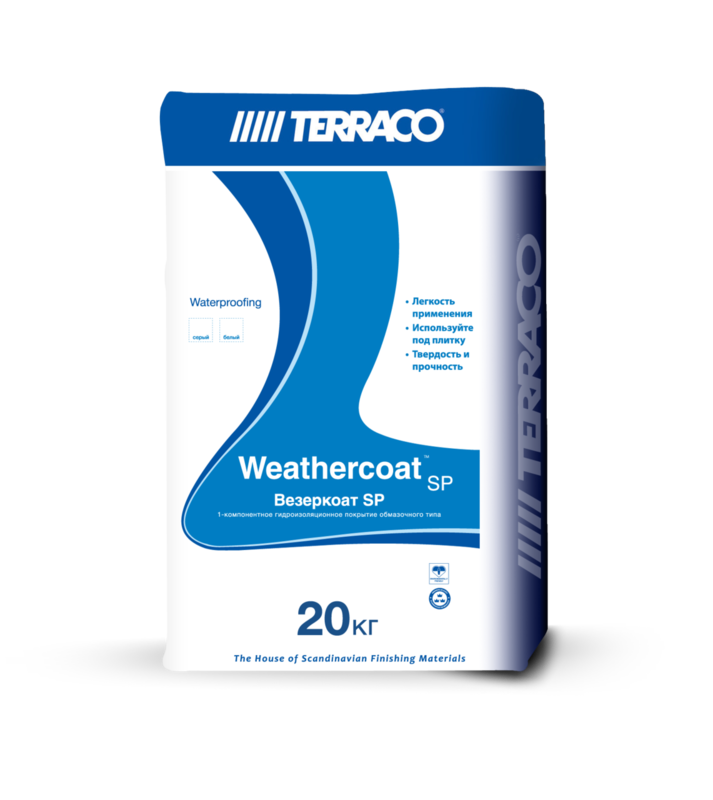 Used in extreme climatic conditions, Weathercoat has long-life flexibility. It is applied by brush or spray and after drying can be walked upon uncovered. After application, Weathercoat has high resistance to chemical attack, atmospheric pollution and UV light. It have been using in a wide range of applications including wet areas such as bathrooms and kitchens to balconies, swimming pools and potable water tanks and much more. 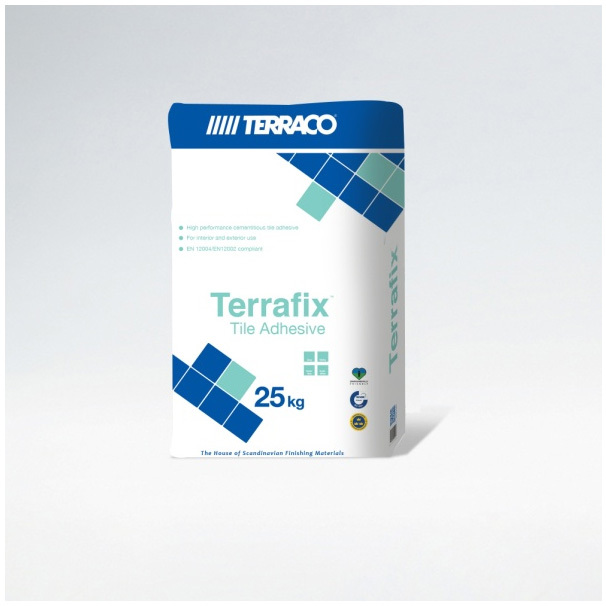 Terrafix is a versatile, easy to apply mortar for the mounting and laying of tiles, glazed and unglazed clinkers and mosaics. It is suitable for use on walls and floors of concrete, lightweight concrete and plaster for both exterior and interior surfaces. 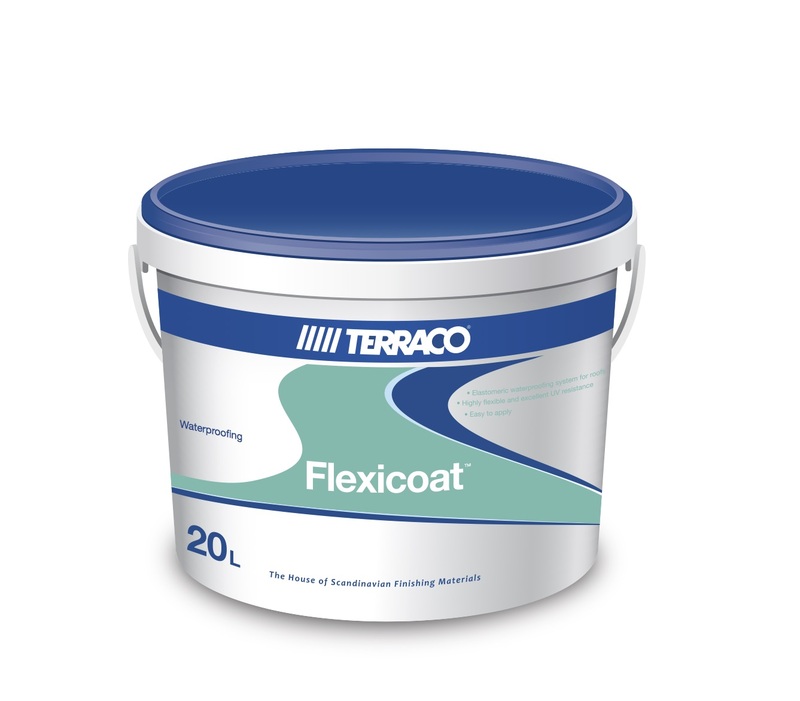 Terrafix can also be used in swimming pools, laboratories and cold stores. It is frost-proof and resistant to high temperatures, therefore being ideal for both hot and cold climates. 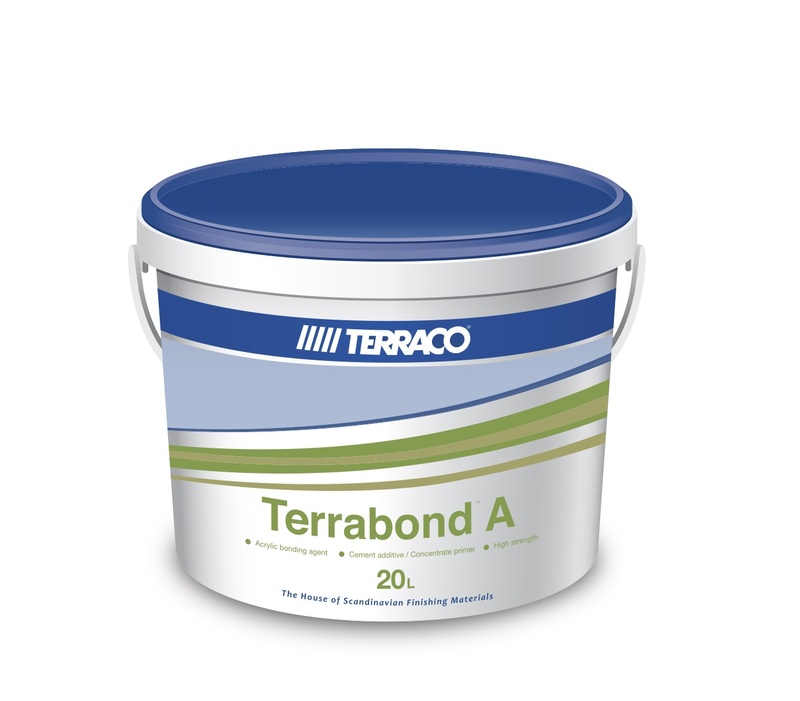 TerraBond A is an extremely versatile bonding agent for use with all cementitious materials, lime washes, plasters, etc. It can be used to pre-treat substrates as an adhesion-promoting agent and as a primer or sealer for decorative coatings. 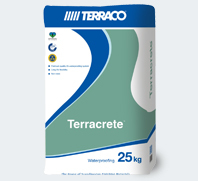 TerraBond A increases the compressive, tensile and flexural strengths of mortars and reduces the water or cement ratio. 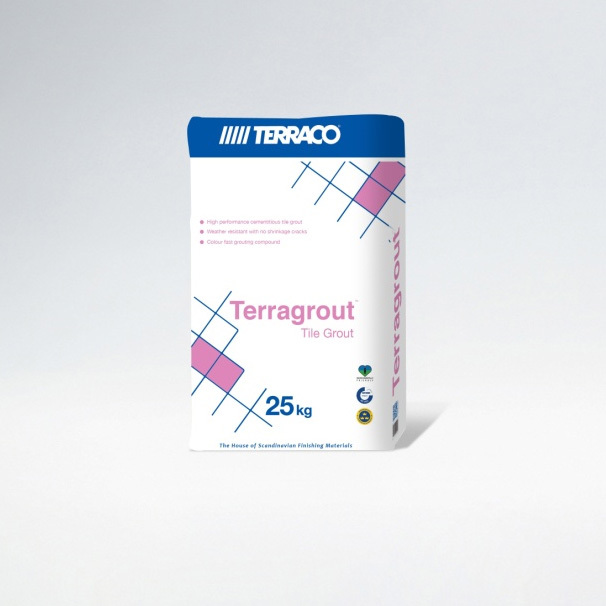 Terragrout G11 is a general purpose ceramic tile grouting compound for interior and exterior use. Terragrout G11 is available in a range of attractive fade resistant colors. It is a ready-mix, flexible, seamless, positive pressure, waterproofing roofing compound. This product is used on roofs across the globe – consistently performing in the most demanding conditions, including the monsoon areas of the world. A ready-mixed, elastomeric, flexible, seamless, positive pressure, waterproofing roofing compound which have heat reflective and insulation properties. Technologically advanced, water borne water repellent for use on exterior masonry and other mineral based surfaces. Technologically advanced, waterproofing additives used to waterproof mortars and other cementitious materials as well as act as a waterproofing compound.Guaranteed to last, these products are backed by Terracco international quality guarantee. BASF is the world’s leading supplier of high performance waterproofing and sealant products that safeguard structures from the ingression of unwanted water, moisture and environmental contaminants. 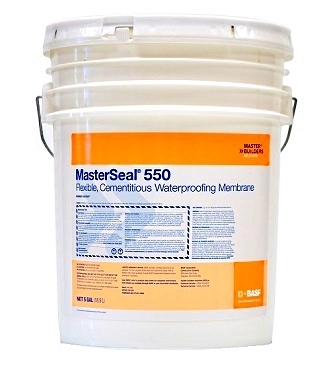 MasterSeal 550 is an acrylic-modified, Portland cement-based flexible waterproofing membrane for concrete and masonry. 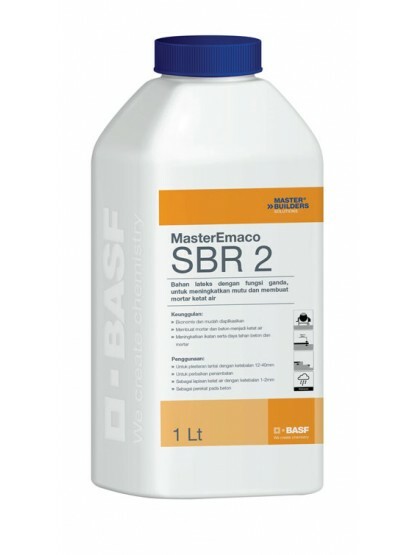 MasterEmaco SBR 2 is a StyreneButadiene co-polymer latex liquid that can be used with cement, concrete and plaster. It reduces the mixing time through high dispersion of the polymer and improves waterproofing, new to old concrete or plaster bonding and strength characteristics and reduces shrinkage and cracking of the mix. MasterTile 500 is a polymer enriched, cementitious tile adhesive with extended open time and reduced slip for thin bed fixing of fully vitrified ceramic tiles and porcelain mosaic tiles in interior or exterior situations, especially those exposed to permanently wet conditions. 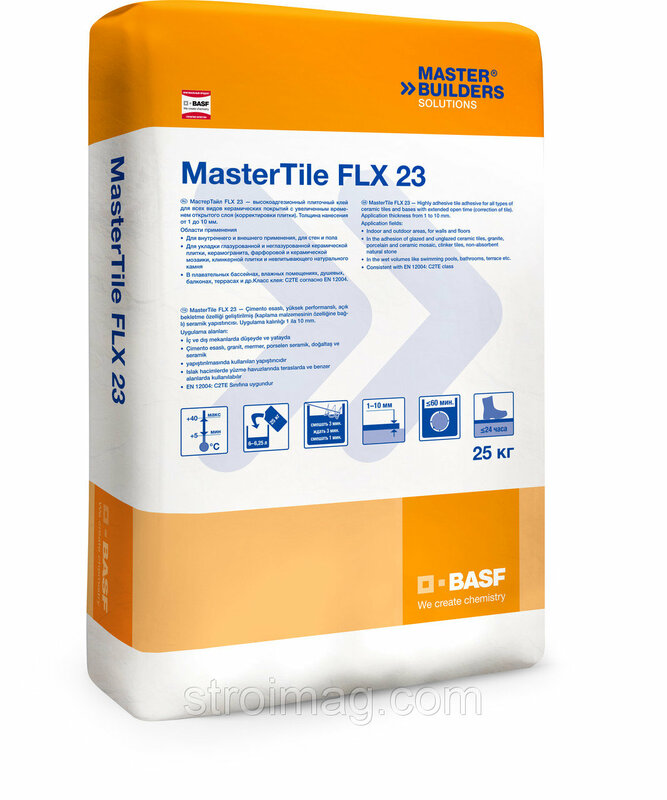 MasterTile FLX 23 is a polymer modified pre-bagged single component cementitious tile adhesive requiring only the addition of water and mixing to make it ready for use. 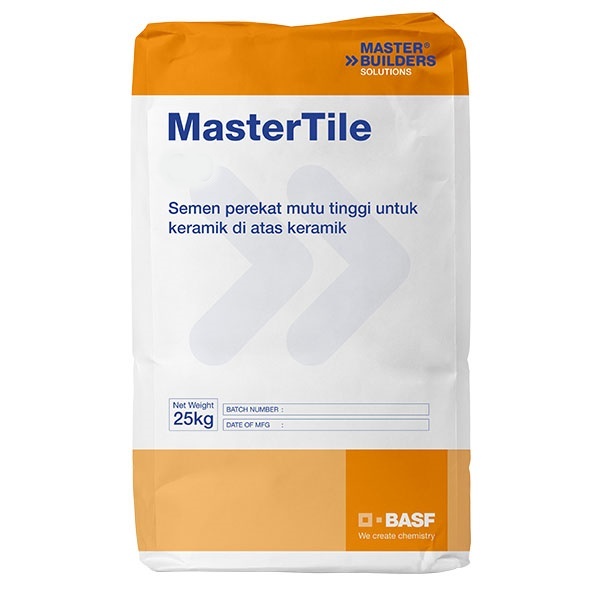 MasterTile FLX 23 has been carefully formulated to attain optimum non-sag properties, adjustability and open time of the applied product. The use of specialist polymers ensures that adequate adhesion is guaranteed even in difficult conditions such as under water.